Dr David Melzer is Professor of Epidemiology and Public Health at the Medical School, University of Exeter, UK. He is also a visiting Professor at the University of Connecticut Center on Aging. His research interests are in the causes and consequences of chronic conditions in later life. His group’s research programme includes analysis of genomic and conventional risk factors in human ageing. He trained in medicine in South Africa (graduating 1981), studied public health at the London School of Hygiene (1987) and completed his PhD at the University of Cambridge. 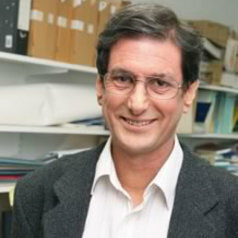 He received a Harkness Fellowship in 1998, at the Guralnik laboratory at the US National Institute on Aging.